Living in constant pain is barely living. Each and every patient is unique but there are answers and relief possible. Rajev, Dull Achy pain is almost always referred muscle pain, most commonly Myofascial Pain and Dysfunction. Check into ICCMO India http://tmjindia.com/iccmo/ to find a neuromuscular dentist. I have been having pain when swallowing food or drink since September. The pain may be less depending how I position my neck, i.e. if I crane my neck the pain is less, when I lower my chin there is more pain. I’ve seen a dentist, I have seen an ENT, had an endoscopy of the throat and a CT scan w/contrast to rule out cancer. Nothing was abnormal. I do have Eagle’s syndrome bilaterally, however, never had problems on the left side before and never this particular symptom. Two days ago when I went back to the ENT to go over my scan results, he did another quick exam of my mouth, where he pressed on the base of my tongue and ever since then, it has been worse than before. Of course the ENT has exhausted all his options and said to see my GP for a referral to another specialist, maybe a neurologist. I somehow feel like my tongue is involved because it hurts on the base quite frequently and all along the length of the side of my neck. And again, there is the pain when swallowing food or drink. I am now wondering if it could be TMJ – I do clench my teeth heavily, and was given a mouthguard to wear during the night a couple of years ago, but found it bothersome, so I didn’t wear it but a couple of times. Do you think this could be TMJ, and can you tell me how I can find a specialist in the Phoenix, AZ area?? Any help would be greatly appreciated – this constant dull ache is really reducing my quality of life. Thank you! Pain with swallowing can definitively be a TMJ /MPD disorder. I would have palpation done to evaluate for possible blocked salivary gland or enlarged lymph node. You can try sucking on sour lemon drops if that either makes the pain better or worse it is likely related to a salivary gland in the floor of the mouth. More likely it is Myofascial Pain and needs to be addressed with functional evaluation and trigger point therapy and or TMJ orthotic. See http://www.triggerpoints.net to understand the pain referral patterns. It is also possible it is nerve impingement and an Atlas/Orthoganol chiropractor might help. It could be a symptom of your Eagles syndrome or possibly Ernst syndrome. 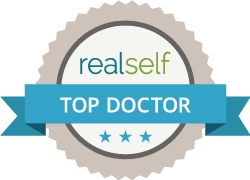 Dr Nick Meyers is in your area but I frequently see long distance patients in my Highland Park office. My tongue ‘burns’ especially when I yawn. I wake with a dry mouth most mornings and eating is very uncomfortable due to great sensitivity brought on by a lack of protective saliva. This started about 4 months ago. It is quite debilitating and depressing. Dry mouth is common with mouth breathing as well as sleep apnea. Lack of saliva can crearte terrible dental issues. There are products that help dry mouth. Burning tongue can also be related to autonomic nervous system. https://www.sphenopalatineganglionblocks.com/glossodynia-relief-burning-mouth-tongue-syndrome-sphenopalatine-ganglion-spg-block-gives-relief/ Are you on a new medication that might have caused the problem? Thanks very much for your prompt reply and the link. I’m not on any medication at present. I do have an on-going problem of not sleeping in bursts of no more than a couple of hours at a time which doesn’t help me feel too bright during the day. This has been going on for a long time. I might get about six hours sleep but in three instalments. Dr Shapira response: The question is what is the underlying cause of the open bite. This is a video of a long term open bite patient treated without extraction or surgery. i am from india and having dull pain off and on in my cheeks and sometimes on jaw both sides, feel like pressure on middle lower teeth. sight postnasal drip and feel at times something stuck at the base of tongue and not able to swallow and something is there …. I have problems with tmj for a lot of years. Now my problems are swallowing ,speech and tongue switching. I am in the phila pa area dr Shapiro do you know who I can go see because I am being told this is not tmj but als . Please help! Thank you . I have gone into the city to big institution for facial dentists and they after hearing from my dentist that it is not tmj they are also saying it is als. Elizabeth, ALS is a serious neuromuscular disease. It can occur in patients with TMD. While treatment may alleviate symptoms temporarily if you actually have ALS it is usually progressive. This does not mean treatment may not improve you quality of life. ALS is a difficult diagnosis and it varies greatly in its presentation. For the past 2.5 months I’ve had a tension headache that started in my jaws and back of neck that gradually moved to the front of my head, the tension moves around from behind eyes, to teeth, jaws, top of head. my right jaw pops constantly. My right jaw hurts for a few days and then pain goes away, this process repeats itself. I went to my primary care over a month ago and he thinks this is all stemming from anxiety. I don’t disagree but it’s lasted for so long. Very annoying. The past few weeks I’ve started having very mild sharp pains behind my left eye or top of head or side of head. My head also has had some tingling, which strangely my tension seems to be better when I’m having tingles. When I bend over I feel lots of pressure in my nose and face. Can all this be from Tmj? I also know my allergies are really bad this time of year and they seems to inflame my sinus nerves, at least that’s what happened last year. Sphenopalatine Ganglion Blocks are also very useful. Self Administration is key to best success. Pain like you describe is often eliminated or vastly immproved in just the first or second visit. I have been suffering from pain in right jaw, ear, neck , shoulder it goes till head all on right side . It’s severe sometimes . Ringing in ears, right throat ache and younger ache. I had wisdom tooth extracted it was impacted after since it’s more. Dr Shapira’s Response: Dear Sharon, You have described typical Myofascial Pain Patterns that are commonly seen secondary to TMJ disorders or part of TMD in general. Extractions of third molars, ie wisdom teeth frequently is traumatic and can set off a series of problems with both muscles and joints. I can help and see International patients but my friend Raj is an excellent practitioner in India. Tell him I referred you! 3 years ago I started having pain behind my eye. So I went and saw an eye doc. Then eye doc saw nothing wrong. Then my ear started to hurt then not long after my ear started hurting then one thing led to another. My jaw, my sinuses my neck sore throat then tingling on my tounge, headaches. I had lots of test done to rule things out. So I googled my symptoms and TMD came up. So I decided to get braces. I have 2 weeks left in them and I’m still hurting so much!!! I dont even know what to do anymore. It hurts to chew at times and the jaw pain and everything else makes me not a fun person to be around. I’ve taken ibuprofen, turmeric, tylenol. I dont know what else to do. I’ve been offered muscle relaxants but truthfully I’m scared to take them. I dont care for prescription. I just wanna feel normal again. Eye pain or Retro-orbital (behind the eye) pain is a very common symptom of TMJ disorders. One common cause is referred pain from MPD or Myofascial Pain and Dysfunction. The MPD pain is often associated with abnormal overfunction of the jaw muscles and can rapidly cause both joint pain and many other diverse pains including sinus pain and headache. TMJ Disorders have been called “The Great Imposter” because they duplicate so many other disorders. Starting treatment with orthodontics is usually a bad idea because it is not reversible and if the pain gets worse you cannot go back. Diid you have teeeth extracted for your orthodontics? 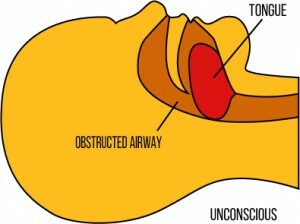 Almost always a bad idea due to negative effects on the airway and subsequent changes in head position. Dr Shapira, I am based in England, so getting an appointment to see you would be problematical. I have suffered with my jaw for many years, my dentist has made an oral appliance and referred me to a maxillofacial surgeon for a consultation. The surgeon confessed he didn’t know much about TMJ and diagnosed myofascial pain, for which he suggested painkillers. My dentist says there is nothing to be done except what we have already considered. I have many of the symptoms you describe, including tongue pain, numbness, tingling, tinnitus, pain around both ears and neck. This is a long shot, but do you know any TMJ specialist in England that you could recommend? Many sufferers in England are like me and its difficult to find someone who can help. Thank you. I suggeest you check http://www.ICCMO.org These are the top neuromuscular dentists. There are some in France and Germany but I am not sure about Great Britain. I do see long distant patients but understand it can be diffiicult or impossible. I have been suffering for the past 2 weeks with awful jaw pain, ear pain, base of skull pain, teeth pain, tongue pain, clenching tongue to roof of mouth, neck pain, ringing in ears and clenching jaw now my bite feels off, my jaw poops and hurts more in the right side those teeth hit first when biting down. My teeth are so sensitive now to eat or drink hot or cold. Please help I would greatly appreciate. I never had any problems with my tongue until I had root canal on my upper first molar, and my dentist says now that the molar needed a larger crown because it’s bigger than the other molars. 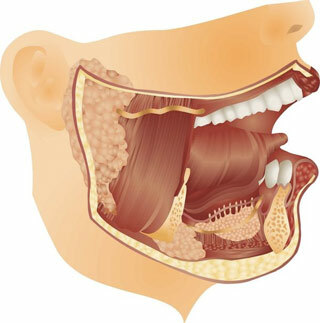 So there is less space for my tongue and I’m wondering if this is also related to tmj, which i have , however doesn’t really impact my life. I’ve had a great deal of dental work and wear a night guard. So is it possible my tongue will get the clue that there’s just less room for it… or I guess I could have it pulled, however just had a root canal before the crown… so i’m hoping it will lessen …. as I’ve had tmj symptoms for many years, but never before this incident, did i ever have tongue issues… ( I’m originally from NJ, and yes we jersey girls love to chat! I suggest starting with a neuromuscular diagnostic appliance to eliminate symptoms ASAP. These are all typical TMD symptoms that usually are easily treated.